Journal summary: IJAM is a non-profit project, published by HEC Montréal’s Carmelle and Rémi Marcoux Chair in Arts Management. HEC Montréal is the oldest business school in Canada, and is affiliated with the University of Montreal. Journal summary: Hospitality & Society is published in partnership with the Council for Hospitality Management Education. Hospitality & Society is an international multidisciplinary social sciences journal focusing upon hospitality and exploring its connections with wider social and cultural processes and structures. The journal welcomes submissions from various disciplines and aims to be an interactive forum expanding frontiers of knowledge and contributing to the literature on hospitality social science. Articles that stimulate debate, discussion and exchange across disciplines are welcomed, as well as review essays or short topical pieces that are provocative and problematic in nature. 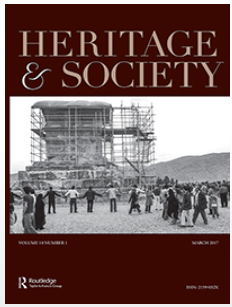 Journal summary: Heritage & Society provides a forum for scholarly, professional, and community reflection on the cultural, political, and economic impacts of heritage on contemporary society. It seeks to examine the current social roles of collective memory, historic preservation, cultural resource management, public interpretation, cultural preservation and revitalization, sites of conscience, diasporic heritage, education, legal/legislative developments, cultural heritage ethics, and central heritage concepts such as authenticity, significance, and value. The journal provides an engaging forum about tangible and intangible heritage for those who work with international and governmental organizations, academic institutions, private heritage consulting and CRM firms, and local, associated, and indigenous communities. With a special emphasis on social science approaches and an international perspective, the journal facilitates lively, critical discussion and dissemination of practical data among heritage professionals, planners, policymakers, and community leaders. Journal summary: An international point of reference for the critical examination of historic preservation. 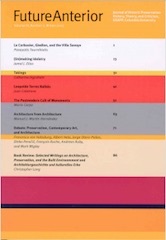 Future Anterior approaches historic preservation from a position of critical inquiry, rigorous scholarship, and theoretical analysis. The journal is an international forum for the critical examination of historic preservation, spurring challenges of its assumptions, goals, methods, and results. As the first journal in American academia devoted to the study and advancement of historic preservation, it provides a much-needed bridge between architecture and history. The journal also features provocative theoretical reflections on historic preservation from the point of view of art, philosophy, law, geography, archaeology, planning materials science, cultural anthropology, and conservation. 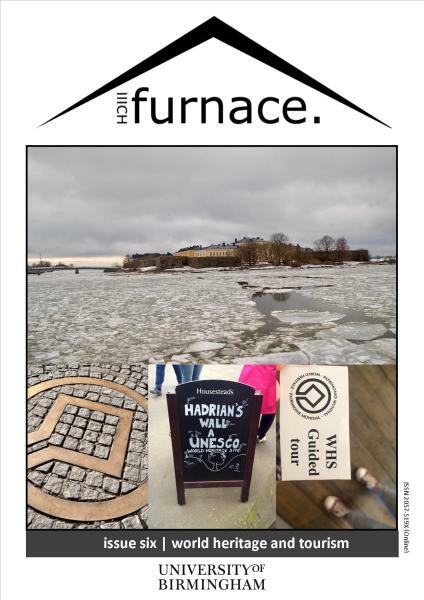 Journal summary: furnace aims to provide an open and multidisciplinary journal relating to all aspects of international cultural heritage. Each biannual edition has a theme, specified on the website and in the call for papers. It is published and managed by postgraduate and doctoral students at the Ironbridge International Institute for Cultural Heritage, University of Birmingham. Journal summary: Whilst the European Journal of Marketing retains a European brand identity it is a truly international journal, actively encouraging global contributions from scholars across the broad domain of marketing. It covers a wide range of research traditions within marketing, particularly encouraging innovative ideas in conceptual developments and research methodologies. The EJM is not preferentially disposed towards either empirical work or pure theory, nor towards one particular method or approach.